I guess if you’re an upstart football league and you want to sign Colin Kaepernick, you’ll need to shell out quite a few dollars for him to even think about it. On Monday, it was reported to Sporting News that XFL executives had been in contract talks with the former San Francisco 49ers quarterback and he reportedly wanted a pretty penny to do so. The XFL declined to divulge details of the Kaepernick contract talks. But sources said the former 49ers quarterback wanted at least $20 million to suit up for new spring football league. 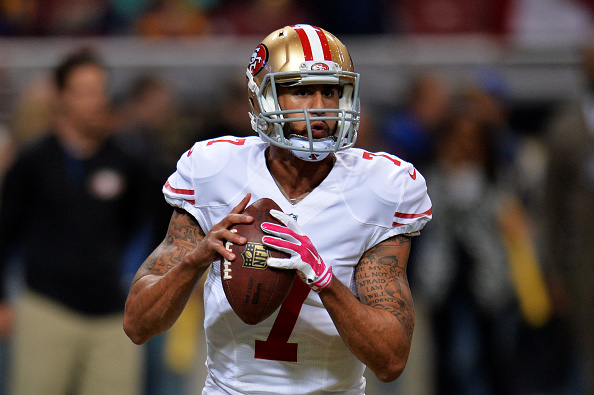 Mark Geragos, Kaepernick’s attorney, did not return an email from SN seeking comment. The new eight-team XFL is seeking to pay starting quarterbacks $250,000 a season, per The Sporting News. This report comes on the heels of Kaepernick reportedly demanding $20 million from the Alliance of American Football league to suit up as well. Kaepernick last played in the NFL in 2016 where he threw for 2,241 yards with 16 touchdowns and completed 59.2 percent of his attempts in 11 starts.